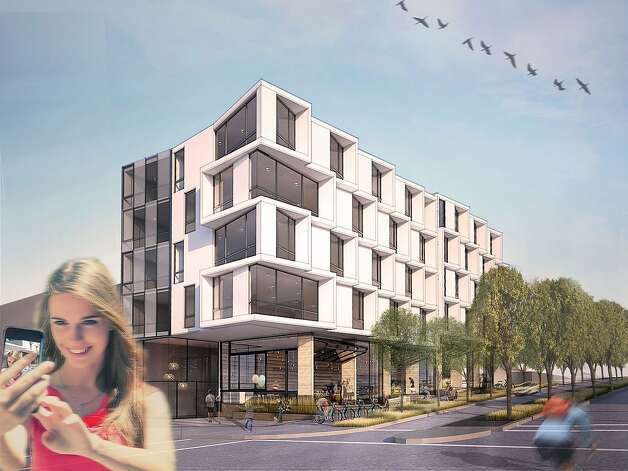 Even as two large residential projects near completion along Octavia Boulevard, change is coming to three smaller city-owned parcels on what is emerging as San Francisco's showcase of contemporary architectural design. The buildings would replace a trio of thin vacant lots with a procession of five-story buildings with residential units above shops. They'll also fill the most conspicuous remaining void along a boulevard that replaced an elevated freeway torn down with fanfare in 2003. Though small in relation to the towers rising south of Market Street, the projects capture the cultural dynamics of an area that few San Franciscans a generation ago could have picked out on a map. They'll also generate $5 million for public improvements to the congested area, a favorite of planners but often a headache for drivers heading to and from the city's western neighborhoods. Another difference from the high-rise action elsewhere: Each development team is based in the neighborhood. "We're neighbors, essentially. It's our backyard," said Michael Yarne of Build Inc., which was selected this week to develop two parcels between Page and Oak streets. Build Inc.'s plans call for 24-foot-wide buildings with miniature retail spaces along the street and a combined 60 apartments above. Not all would be traditional units: One structure is billed as "group housing," 34 "private suites" with snug kitchens and bathrooms. All residents would have access to top-floor common spaces, a large kitchen on the south and an oversize living room on the north. "It's a contemporary architectural analogue to the big old Victorian where lots of people reside," said Mark Macy, the architect for the two buildings. "Each private space is independent, but there are shared amenities." The largest site of the three is on Octavia between Page and Rose streets, an alleyway. It will be sold to a team that includes DDG and DM Development; for this project they took the name Linden Partners, based on the nearby alley where their office is. This project is more conventional, with 26 compact condominiums facing the landscaped boulevard. The design, though, has a hint of a fan being unfurled in slow motion, a shuffle of white bays angled to capture views of the city's topography. "We're trying to retain the vernacular of the Victorian bay, but transform and abstract it," said DM Development's Mark Macdonald of the design by Edmonds + Lee, in another shout-out to a style of architecture that is more familiar to many San Franciscans than modern looks taking shape along Octavia. The sites were sold for a combined $5.1 million by the Office of Economic and Workforce Development, the branch of City Hall overseeing the redevelopment of 22 parcels of land that were left open after the Central Freeway - damaged in the Loma Prieta earthquake of 1989 - was dismantled north of Market Street and replaced by the boulevard. Seven of those sites were reserved for affordable housing; the others are being sold to market-rate developers, though 15 percent of the units in the latter buildings must be sold or rented to lower-income residents. The 22 parcels of land left behind by the removal of the Central Freeway extended as far north as Turk Street. In all, they are planned to hold roughly 1,000 apartments and condominiums. Nearly 50 percent are classified as affordable, set aside for lower-income residents. Empty lots along the boulevard languished while a neighborhood plan was being completed. Then came the 2008 recession. The only development that followed was Proxy, an innovative compound of small shops and a beer garden occupying customized shipping containers. The lots being sold to Build Inc. have been used for community gardens, which were operated by Project Homeless Connect. But as the economy has returned to life, so has the boulevard. At Market and Octavia, DM and DDG are building 47 condominiums that are set to open in August. On the northeast corner of Oak and Octavia, Build Inc. is teaming with developer Avalon Bay Communities on a complex of 182 apartments.